Rank: #282 out of 620. The special FleX-Ice compound is formulated to maintain its flexibility under the most extreme cold-weather conditions while Micro-Pumps and Cross Z Sipe technology provide improved stability in all winter conditions. The wide tread contact patch generates acceleration and braking power, as well as cornering traction for outstanding maneuvering on snow and icy roads. This tire provides long lasting winter performance with sipes and Micro-Pumps that are maintained season after season and MICHELIN Max Touch Construction which features a unique contact patch shape - maximizing even and longer tread life. 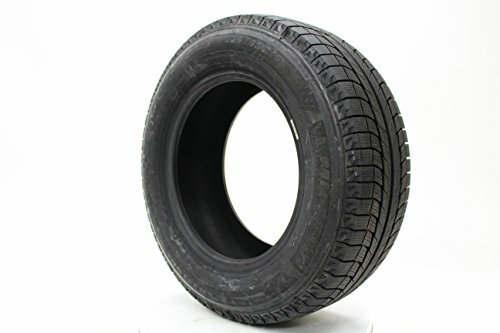 Michelin Latitude X-Ice XI2 235/60R18/XL 107T are a popular option at the top of the price range. They're in the top 3 bestselling snow tires and have dozens of popular alternatives in the same price range, such as Mastercraft Courser MSR 255/65R18 or Nexen Winguard Winspike 225/60R18 100T . Michelin Latitude X-Ice XI2 235/60R18/XL 107T are $65.57 more expensive than the average snow tires ($133.81).